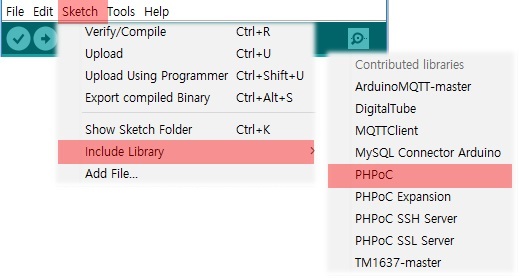 You can install the PHPoC library via Arduino IDE. 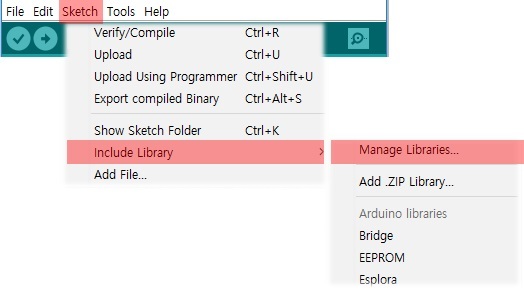 Click the [Sketch] > [Include Library] > [Manage Libraries...] menu. Search "phpoc" on the Library Manager. Select the PHPoC library and press the [Install] button. "INSTALLED" message will appear on success. Confirm the "PHPoC" in the [Scketch] > [Include Library] > [Contributed libraries]. Confirm the "PHPoC" in the [File] > [Examples] > [Examples from Custom Libraries]. 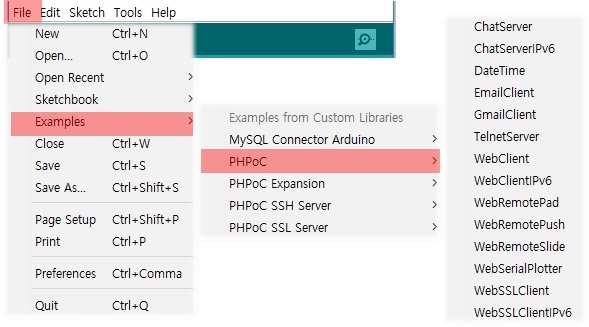 To run the examples of PHPoC library, follow the instructions of Using the Example. ※ Note : PHPoC Expansion library can be installed in the same way.